What are the reasons you decided to plant a church in your city (if your church is a plant)? Boston is a city with a rich gospel history but is currently in great need of healthy churches. Yet God is doing incredible things through church plants and some churches that have been laboring faithfully here for years. When preaching here, George Whitfield once said, “If I am in prison, to hear that the Boston people are alive to Christ will make me arise at midnight and sing praises to God!” God has brought awakening throughout this region before, could he not do it again? We want to be a part of God using the ordinary means of gospel proclamation and prayer to bring about a revival in Arlington and Greater Boston. Two weeks after moving in we had a BBQ to meet all of our neighbors. We connected with one neighbor who has become a friend and now frequents our weekly worship gathering. While hesitant at first, this person now trusts and desires to be a part of what we’re doing. Stories like this are reminders that faithful witness takes time and patience. We are praying that God gives growth to the seeds planted. We want to see God save those who are hearing the gospel through our ministry. We desire to become a reproducing church; a church of disciple-making disciples that equips and sends. 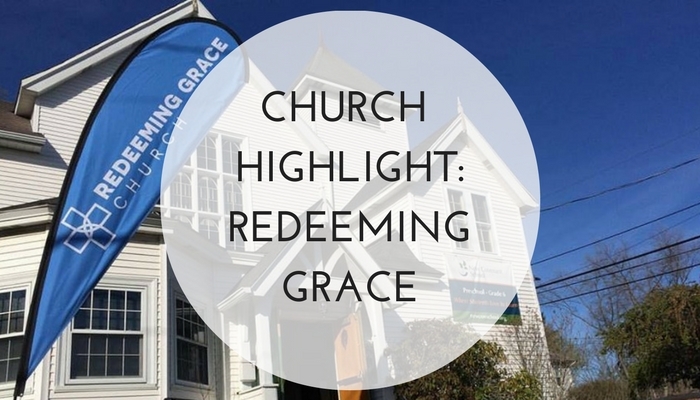 We desire for churches to be planted out of Redeeming Grace. Submit to a healthy local church and have them disciple, assess, and send you out. Read more on ecclesiology than on strategy. Strategy is important, but it needs to be grounded in a biblical understanding of what the church is and how it functions. Be patient (2 Timothy 4:2). It took longer for us to move here than anticipated. It’s taken longer to do what we hoped to do since we’ve been here. Beware of the fast-paced church culture of our day. Put your hand to the plow of evangelism, discipleship, and prayer and trust God with the results.